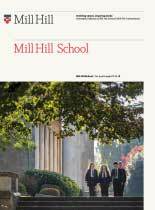 At The Mill Hill School Foundation there is a community spirit amongst our staff and pupils, which is a pleasure to see. Staff have a constant drive to improve and develop all our staff and pupils. Our ambition is to ensure we all reach our fullest potential in a supportive and friendly environment. We offer continuous personal development programmes and encourage staff to participate in all aspects of school life to achieve their personal best. Owing to an exciting period of school expansion, we are delighted to be advertising a number of new, additional teaching posts for September 2019. If you are interested in applying for any of the roles below, please click here to download the application form. If you would like to view our guidance notes for applicants, please click here. Disclosure procedure at the Enhanced level. working with children to apply for this post.